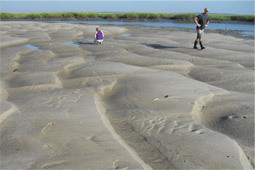 The UNO Pontchartrain Institute for Environmental Sciences (PIES) is a multidisciplinary research institute at the University of New Orleans with a focus on addressing coastal and environmental issues. You can make an online contribution to the Pontchartrain Institute for Environmental Sciences. Our online gift form is the easiest and quickest way to make your contribution. The UNO Pontchartrain Institute for Environmental Sciences was founded in 2001 for training and research, community education, and technology transfer in coastal restoration and environmental sciences/engineering. 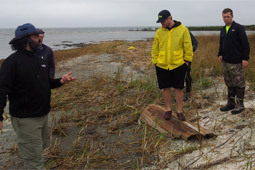 Since its inception, PIES has sought close relationships with partners from industry, state, and federal agencies and other academic institutions to bring multidisciplinary teams together to solve problems and foster public understanding of coastal environmental sciences. Our vision for the Pontchartrain Institute is to be a leader in high-quality research related to the Mississippi River Delta region and similar systems around the world.